Sometimes, it can hard to find the entry point for a new genre. I never really like mob movies until I saw Casino. I never really liked jazz until I heard Ella Fitzgerald. I never really liked anime until I saw Evangelion. 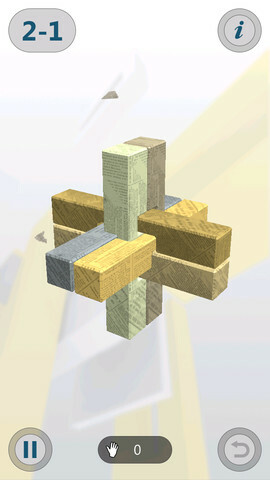 And I never really liked 3D puzzle iPhone games until I playedInterlocked, developed by Armor Games. You’ve probably seen dozens of games like Interlocked before. 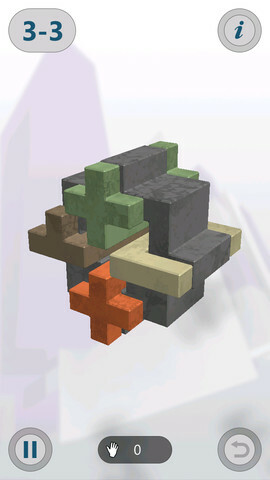 There’s a cube, or cube-like object, constructed from a bunch of different interlocking blocks. 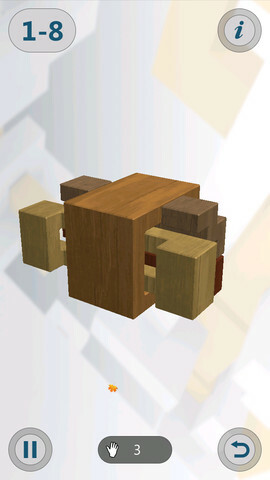 Your job is to pull apart the blocks in as few moves as possible. Interlocked beats out the rest of the iPhone games I’ve played in the same genre by leaps and bounds. The graphics are clean, and the puzzles themselves are reminiscent of physical wood and metal puzzles, giving the game a wonderfully tactile ambience. 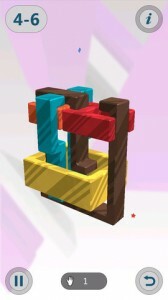 Interlocked features puzzles at the perfect level of difficulty. There are no “easy levels,” and each puzzle object requires a careful, zen-like study before trying to tear it apart. There’s just something about the clean look of Interlocked’s interface that I find endearing. The controls are simple, yet responsive, meaning that Interlocked is easy on the eyes and easy on your fingers. 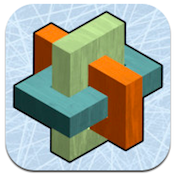 I’ve never liked 3D puzzlebreaker games, but then Interlocked completely changed my mind! Interlockedis compatible with iPhone 3GS, iPhone 4, iPhone 4S, iPhone 5, iPod touch (3rd generation), iPod touch (4th generation), iPod touch (5th generation) and iPad. Requires iOS 4.3 or later. This app is optimized for iPhone 5.A small expedite fee was paid by the developer to speed up the publication of this iPhone game review.